Super Eagles Captain, John Obi Mikel’s father was kidnapped and later rescued by cops in Nigeria. Enugu State Police Command spokesman, Ebere Amaraizu, said in a statement, Pa Michael Obi and his driver, Ishaya John, were kidnapped last Friday. “The Enugu State Command of the Nigeria Police Force through its operatives of the 9thmile Division on Monday at 2:30 p.m. rescued Pa Michael Obi and his driver one Ishaya John unhurt in Egede udi forest of Enugu State along old Egede Affa Road in Enugu. 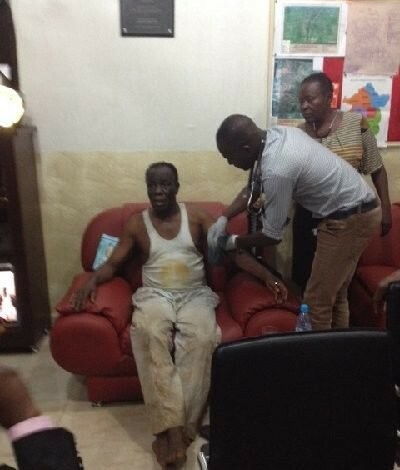 “They were rescued and Pa Michael Obi and the driver have rejoined their family. It was gathered that Pa Obi was allegedly abducted along Makurdi -Enugu road in the afternoon of 29/6/18 on his way from Jos in his grey colored Toyota pardon jeep with registration number MUS 604CG and taken to unknown destination through the thick forest part of the area.